For use with two or more batteries and single or dual engine systems. They permit selection between batteries for starting and charging or operation of both batteries in parallel. For use with systems under 50 volts. 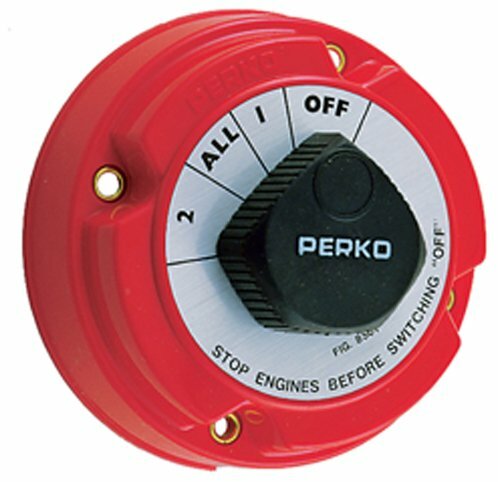 Use two switches for dual engine systems. 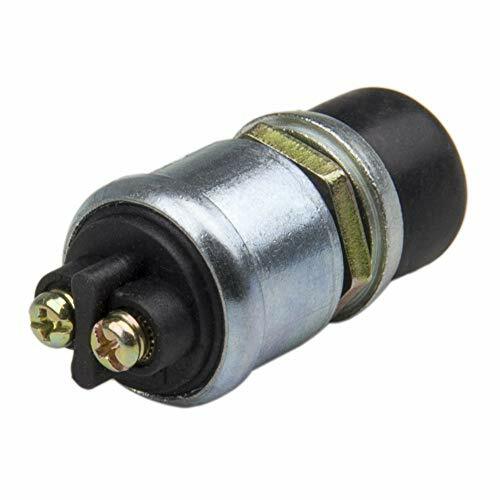 When used with Non-Unitized Alternators, these models will interrupt the field current (reducing the possibility of damage) if turned "OFF" with the engine running. Capacity: 250 Amps continuous, 360 Amps Intermittent. Dimensions: 5-1/2" dia., 2-5/8" depth. Single-pole, triple-throw switch permits four connection modes: Battery One, Battery Two, two batteries in parallel, or both off. Rated for 230 amps continuous, 345 amps momentary. For 6-volt to 32-volt systems. Includes alternator field circuit disconnect to prevent surges. Selector has positive click positions. Bakelite housing with copper washers, brass terminals, and brass nuts. Install with #10 screws. 12, Used as lectrical equipment s switch. 13, Size: 2.68" x 2.68" x 3.07". Worry-free marsauto's 1 years warranty. Sturdy Construction - Compact size, sleek modern appearance, ABS plastic housing to resist the harsh marine conditions, durable made for safety use, rear cover insulates terminals against any short of circuits, equiped with 4 sets of bolts. Simple Operation - On/Off 2 position, 275 A continuous at DC 12V, 455 A Intermittent at DC 12V, 1250 A momentary at DC 12V, 2 mounting screw holes(10mm diameter)for 10-12MM screw connection. 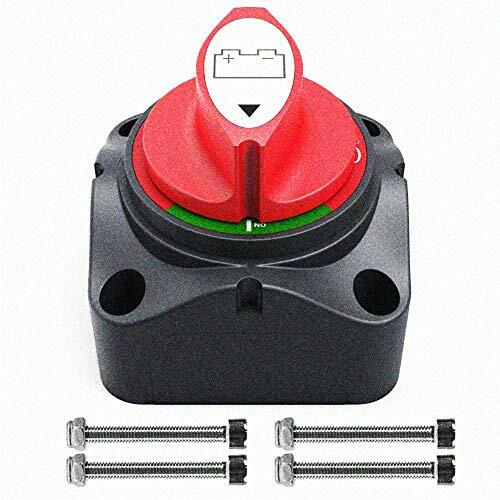 Great Compatibility - used for DC 12 - 48V systems to isolate and secure the electrical system, can stand alone or be locked together with other switch, simple and economical way to separate batteries. 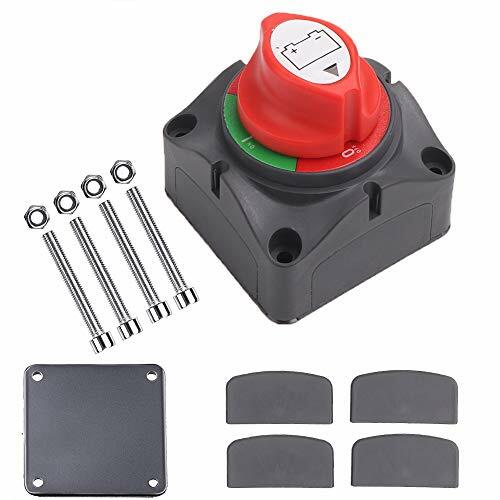 Safety Protection - Marine battery disconnect switch can disconnects the battery safely, to eliminate any power draw from the battery when vehicle or boat is not in use. 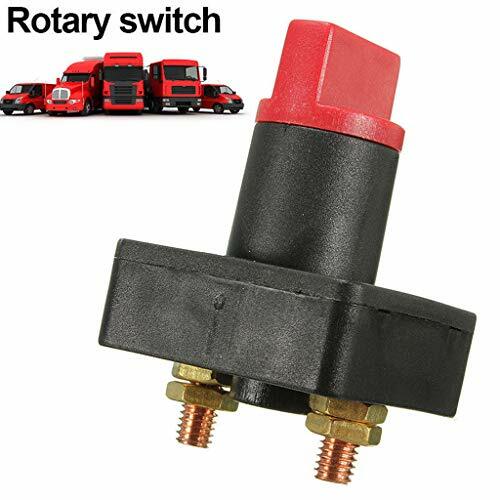 Wide Application - Marsauto battery isolator switch is very easy to install, universal used not only for Car, Van, Caravan, RV, Truck, Marine Boat, but also electrical equipment's switch, such as flashing light, chassis light, fog light, dome light. The Mini add-a-battery plus simplifies switching with a dual circuit plus battery switch and allows you to charge at or away from the dock with the battery link charger. The 10A, 2 bank, charger includes an integrated 65A acr for automatic charging of 2 battery banks off a single engine alternator. The battery link charger is ip-67 waterproof and includes battery temperature compensation, start isolation, and comes with an external indicator remote. Battery temperature compensation allows you to charge a battery based on its temperature to ensure it's always receiving safe and optimal charging voltages. Start isolation ensures that sensitive electronics are not subjected to the voltage sags from engine cranking. The external indicator remote allows a customer to understand the charge status of their system at or away from the dock. By integrating switching and AC/DC charging the Mini add-a-battery plus makes boating simpler and safer. Reducing the possibility of someone being stranded with a dead battery. 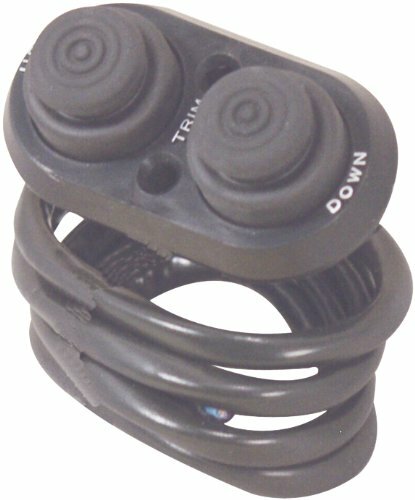 For use in 12V applications only. Backed with ZMunited's satisfaction guarantee, any question, please make sure to contact us. 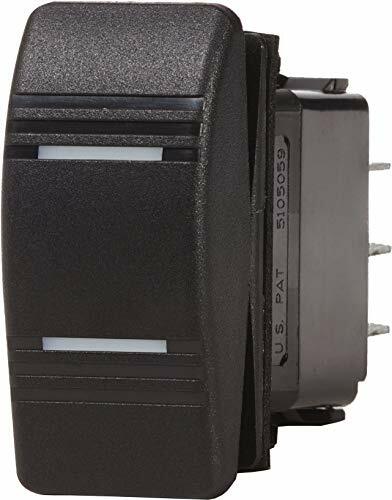 VOLTAGE The rated current of this battery master switch is 275 Amps continuous at DC 12V, 1250 Amps momentary at DC 12V. WIDELY USED Suitable for automotive electronics, electrical products and all kinds of 12V/24V car, boat, van, caravan, etc. 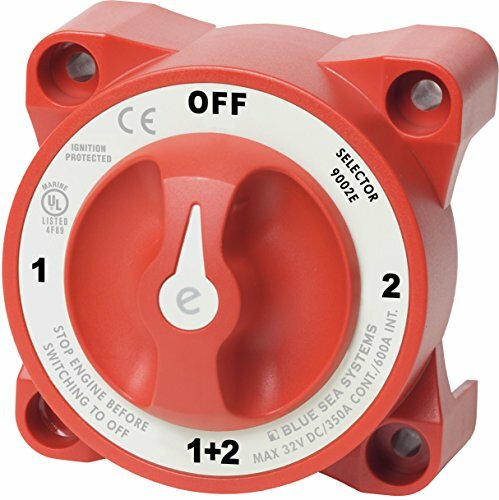 SAFE & SAVE This marine battery isolator switch can disconnect the battery safely to eliminate any power draw from the battery when vehicle or boat is not in use. 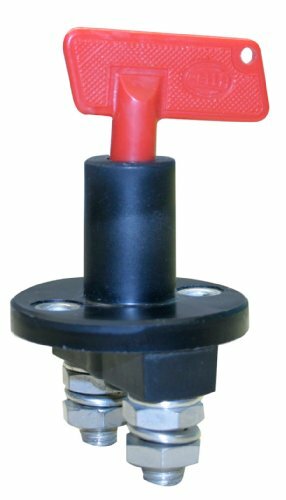 EASY TO USE Our battery cut off switch is easy to install and use. 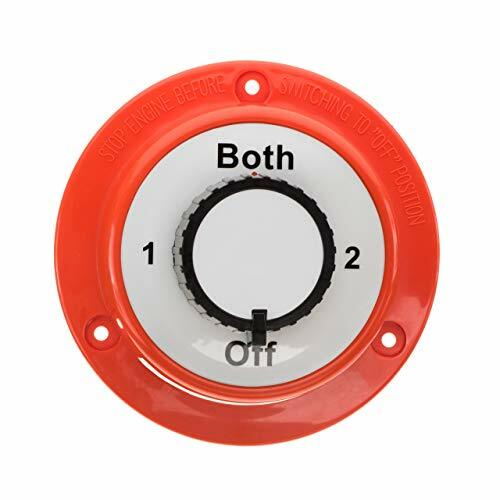 On/Off 2 position, 2 mounting screws(8mm diameter). 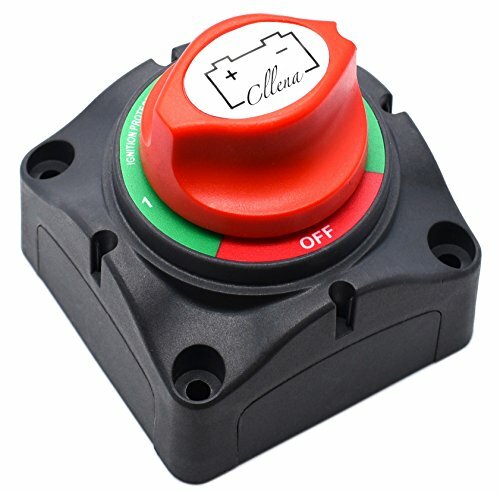 Heavy Duty Battery Master Switch - Single circuit, waterproof switch is UL approved. Removable key. Base diameter is 2.25 inch. 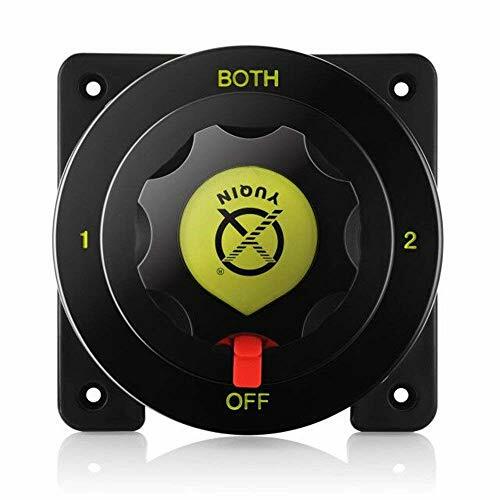 Contura switch, black, dpdt on-off-on, MFG 8286, Double pole-double throw, on-off-on, black actuator, moisture resistant, 1.45" X .83" Mounting hole, 2 LEDs, 20 amp @ 12VDC, 15 amp @ 24VDC. For concealed installations, where battery box space is limited, or in space restricted areas. Great for tricky space problems, theft deterrence, and convenience! Attach a cable from your battery to this unit and connect another cable from this unit to the starter or other power loads. Battery disconnect switches give you the ability to cut power to your ride before storing your hot rod battery during routine maintenance or after an on-track accident. 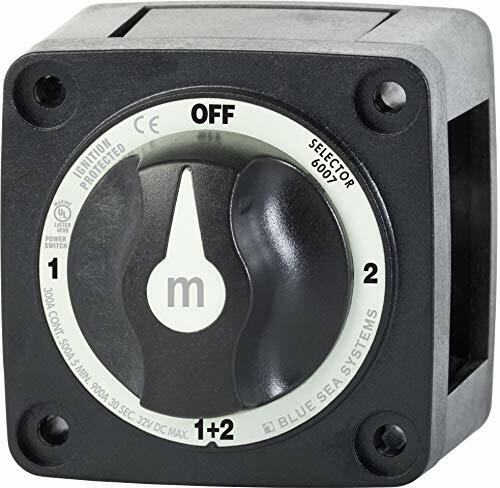 For safety reasons, battery cut-off switches are a valuable-and sometimes mandated-resource. Made of industrial grade material. Durable, reliable and very functional. Switch dimensions: 3.5 inches wide by 3.75 inches long by 1.5 inches high. Prevent accidental connection between two points of different potential and fires when working on electrical systems. Prevent shorts and fires when working on electrical systems; discourages theft; eliminates battery drain on idle batteries. It can be adjusted through the bottom of the screw, into a vertical knife switch or horizontal knife switch. This product is 100% brand new and comes in original color packing, including instructions. Fine appearance. Ignition and corrosion protected bronze steel shaft. Large range of Bronze screws for battery connection. Can be installed in any position. 4 switch positions including OFF / 1 / 2 / BOTH positions. 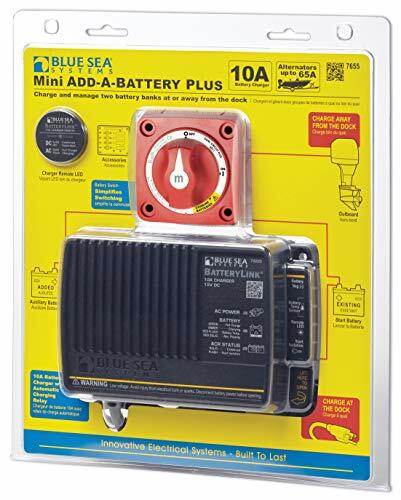 Dimensions: 5.43" x 5.43" x 2.8"
Can be used to disconnect the battery of vehicle or boat when not use to ensure safety. Scope of application: large current batteries such as large trucks, engineering vehicles and yachts are powered off. 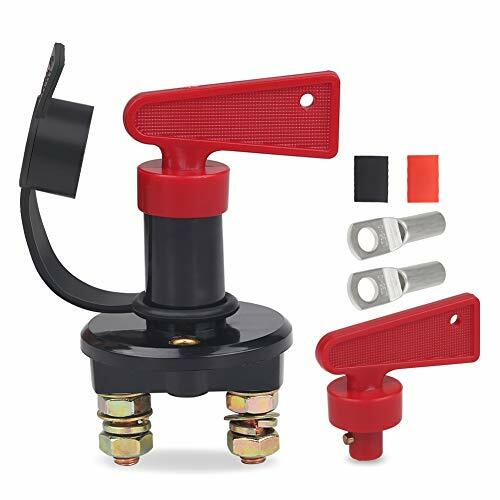 Wide range of applications: Waterproof battery disconnect switch isolators are ideal for cars, off-road vehicles, trucks, motorcycles, ships, etc. Please confirm if the model matches before purchasing.For cars,bus,trailer,boats,marine,etc. 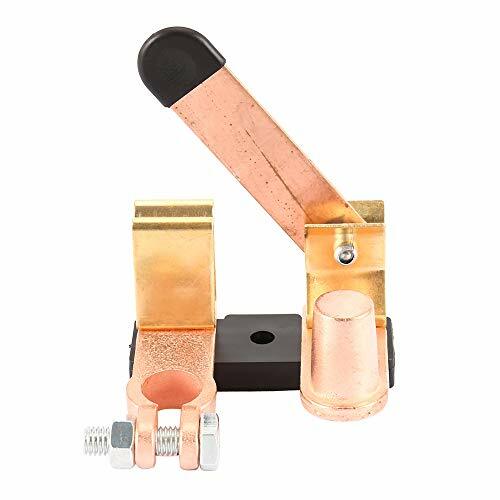 Easy to install and durable.we test each item and 100% ensure in good condition before we ship, if there is any dissatisfaction please contact us.